The first leg of the session will be between January 29 and February 9 during which the government will present the economic survey on January 29 followed by the Union Budget on February 1. Sumitra Mahajan called for a meeting with House leaders of all political parties. 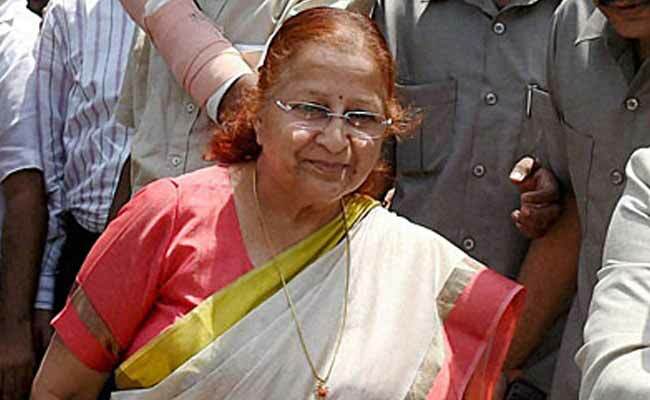 New Delhi: Lok Sabha Speaker Sumitra Mahajan has called a meeting of House leaders of all political parties tomorrow, on the eve of Parliament's Budget Session during which the government and the opposition are likely to clash over a host of issues, including the triple talaq bill. A similar meeting has been convened by the government tomorrow during which Prime Minister Narendra Modi and top opposition leaders are expected to express their mind on pertinent issues, which they would like to be taken up in the session. The session will begin with President Ram Nath Kovind's address to a joint sitting of members of Lok Sabha and Rajya Sabha. In his first such address to Parliament, President Kovind is expected to outline the government's thrust on development and empowerment of people, especially those from backward and weaker sections, official sources said. The BJP also hopes to consolidate its support among backward classes by according constitutional status to the OBC commission, which will make it it more powerful.